Best choice for work and career in Traffic Control Industry, Traffic Controller component is for entry level and Implementer component will allow you to advance your career in traffic management – This course includes both! 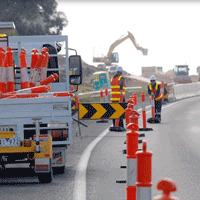 To work or be assessed on a worksite in NSW you must have a White Card. Book White Card & Combo Course combination and save! **Statement of Completion valid for 90 Days and allows holder to legally work as a Traffic Guidance Plan Implementer or a Traffic Controller where these qualifications are required by legislation. Workplace evidence followed by Final Assessment required in this time to get a NSW Roads and Maritime photo card (Valid for 3 years). 1 DAY TRAINING COURSE followed by Final Assessment EASTER SPECIAL Was $349 NOW $223 BEST PRICED IN NSW! RECERTIFICATION OPTION – COMMENCE ONLINE OR AT OUR TRAINING CENTRE $159* BEST PRICED IN NSW! Please note: completing this training course only allows you to control traffic with a stop/slow bat. It does not allow you to Implement Traffic Control Plans. See Combo Course for this option. 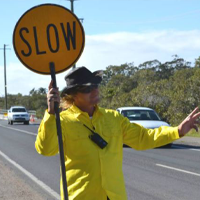 **** Cards will be issued by the Roads and Maritime Services NSW. Assessment, lodgement and card issuance waiting period applies – however you will still have your SOC for work purposes. 1 DAY TRAINING COURSE followed by Final Assessment EASTER SPECIAL Was $369 NOW $279 BEST PRICE IN NSW! RECERTIFICATION OPTION – COMMENCE ONLINE OR AT OUR TRAINING CENTRE $219* BEST PRICE IN NSW! This course is suitable for you if you have not worked as a Implementing Traffic Control Plans or you do not hold the current (unexpired) card required for Implementing Traffic Control Plans. It is also suitable for existing workers who want to gain the new competencies by training and assessment. Please note: completing this training course only allows you to implement traffic control plans / traffic control guidance schemes . It does not allow you to control traffic using a stop slow bat. You will need a Traffic Controller ticket for this. See Combo Course for this option. **Statement of Completion valid for 90 Days and allows holder to legally work as a Traffic Guidance Plan Implementer where these qualifications are required by legislation. Workplace evidence followed by Final Assessment required in this time to get a NSW Roads and Maritime photo card (Valid for 3 years). You will have to source your own workplace where you can apply your skills and knowledge. You will then have to gather evidence from your workplace**. Once you have gathered the required evidence you will have to undertake Final Assessment in a real workplace. Final Assessment in your workplace is by arrangement and the permission and participation of your Supervisor / Manager. Need further information - simply contact us on (02) 4954 4101. Please also refer to full course information on our website & the Terms and Conditions on the website. Please note: You need to hold a drivers licence to meet all of the requirements of this course (particularly the Implementer component). Please note: For the Implement Traffic Control Plans component of this course you will need to source your own workplace to meet the course requirements. You will get access to all the required reading course materials. You will find the course much easier if you read and try to understand the learning materials BEFORE you come in. In order to receive your photo card (with 3 year expiry) from RMS you will need to undertake a Final Assessment. For the Traffic Controller component: You will have to attend a real worksite arranged by us on an agreed date. Assessment takes between 3 – 6 hours. Final Assessment may also be undertaken in your workplace by special arrangement including the permission and participation of your Supervisor / Manager. For the Implement Traffic Control Plans component: You will have to source your own workplace where you can apply your skills and knowledge. You will then have to gather evidence from your workplace**. Once you have gathered the required evidence you will have to undertake Final Assessment in a real workplace. Final Assessment in your workplace is by arrangement and the permission and participation of your Supervisor / Manager. In order to receive your photo card (with 3 year expiry) from RMS you will need to meet all course requirements including satisfactory performance during your Final Assessment, have paid all fees, provide us with a suitable photo and provide a valid USI. *Practical training site is 5-10 minutes from training centre. You will have to arrange your own way to get there, our trainer may be able to assist – please enquire if required. ** Minimum evidence requirements apply including 3 shifts implementing Traffic Control Plans (including set up, monitoring and close down and all related tasks), copies of TCP's implemented (at least 3), any associated ROL's/ Permits, Supervisor Verification (also required verbally after Final Assessment) and documentary evidence of participation in safety related meetings/ checks. 3. You have more than 3 months left on your card(s) and you are willing to complete the assessments, collect any required evidence (may be from the past) and arrange for assessment in that time. If your card has recently expired (in the last 3 months) but you have plenty of experience then please contact us before applying. If you are commencing the process online – You will receive a link to an online portal where you commence the process. For the Traffic Controller component: You will have to attend a real worksite arranged by us on an agreed date. Assessment takes between 3 – 6 hours and are available from Monday – Friday. Waiting times apply for assessment. For the Implement Traffic Control Plans component: You will have to source your own workplace where you can apply your skills and knowledge. You will then have to gather evidence from your workplace*. Once you have gathered the required evidence you will have to undertake Final Assessment at a worksite arranged by us. Assessment takes between 3 – 6 hours and are available from Monday – Friday. Waiting times apply for assessment. 4. Provide a valid Unique student identifier (USI) (If you do not have a USI please head to www.usi.gov.au and create one in a few short steps) - we can help you with this during your course. Online or by contacting us on 02 49544101. You will receive a confirmation within minutes of your booking! We will provide you with the safety vests required! You will need to wear long pants, closed shoes and a long sleeved (preferable) shirt. You will not be allowed to wear hooded jumpers, singlets, shorts, thongs We recommend you bring a hat and bring some sunscreen - be sun aware! Need further information - simply contact us on 02 4954 4101. Please also refer to full course information on our website & the Terms and Conditions on the website. *Practical Training Site is located at a nearby location (around 10-15 min drive) in order to meet MRWA requirements for practical training assessment requirements.